Many tourists see elephants as the highlight of their holiday. The majestic animals have amazing trunks and their newborns will instantly make one smile. In recent years, a whole industry in Asia has developed around these animals. Most tourists however are unaware of the abuse behind elephant rides and shows. TUI Care Foundation therefore helps to protect Asian elephants by building them a happier future. Today, there are more elephants in Thailand living in captivity than in the wild. The elephants living in captivity are often exploited for tourist entertainment, such as for rides and shows. And while these activities are stressful for the animals and harm their well-being, many tourists continue to visit the venues that offer them. The wish to “experience” elephants in these unnatural settings often stems from a lack of awareness as the short time a tourist spends with an elephant does not reflect the true life of the captive animal, nor what the elephant has had to endure in the past to be in the vicinity of tourists. TUI Care Foundation has therefore joined forces with World Animal Protection to protect about 650 Asian elephants in captivity by 2020. With the help of TUI Care Foundation the transition of elephant camps to elephant-friendly standards will be supported. These best practice venues will serve as examples for other camps to replicate so that a growing number of tourists can experience elephants responsibly. Together with World Animal Protection and a group of other travel companies we convince elephant camps there is a large tourist demand to experience elephants in a natural setting without direct interaction with the visitors. As part of the project, resources will be provided to help existing elephant camps to transition to high welfare standards. In addition, TUI Care Foundation and World Animal Protection closely engage with the travel industry and policymakers to define good standards for elephant venues and give recognition to those genuinely offering a better life for elephants. Knowing that 84% of tourists have difficulties spotting the difference between good and bad welfare conditions for animals, makes raising awareness another key goal of this partnership. Partly by increasing awareness, the demand for elephant entertainment will decrease and the demand for responsible experiences will increase. Many tour operators and travel agents have acknowledged this. By now, almost 200 travel companies have committed not to include venues that offer elephant rides and shows in their itineraries. TUI in the Netherlands was the first travel operator in the world to openly stop offering elephant rides and shows and to start informing her customers. An end to the demand for and supply of elephant entertainment are both crucial for the welfare and survival of this magnificent animal.  While focused mainly on Thailand, this initiative is aimed at five other key countries covering the largest part of the population of captive Asian elephants: Laos, Cambodia, Nepal, India and Sri Lanka. World Animal Protection is a global animal welfare organisation, working in over 50 countries across the world, with offices in every continent. Their vision is a world where animals live free from suffering. They move the world to protect animals because they believe a sustainable future for the planet can only be achieved if both animals and people are part of the solution.